A WOMAN who bought a bread-maker is excited to use it three times before going back to buying bread. 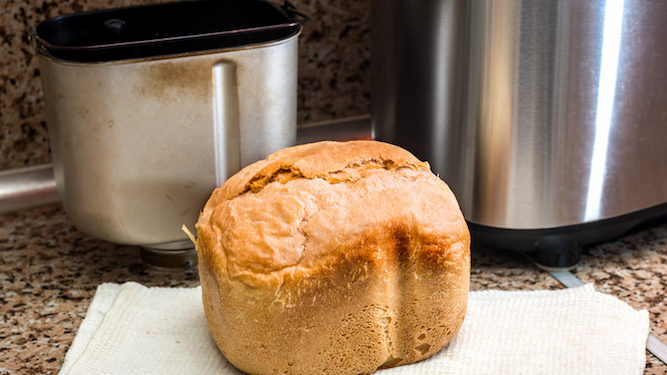 Nikki Hollis bought the appliance with the intention of making two loaves of healthy, low salt organic, ‘farmhouse-style’ white bread and one with olives or something. She said: “I’ve always wanted to experience the satisfaction of spending half a day making something that I will only be able to eat half of before it goes off. According to Hollis, the minimal use and significant expense is complemented by the utter impracticality of owning the appliance.